Federal courts have ruled repeatedly against President Donald Trump’s most audacious policies on immigration. 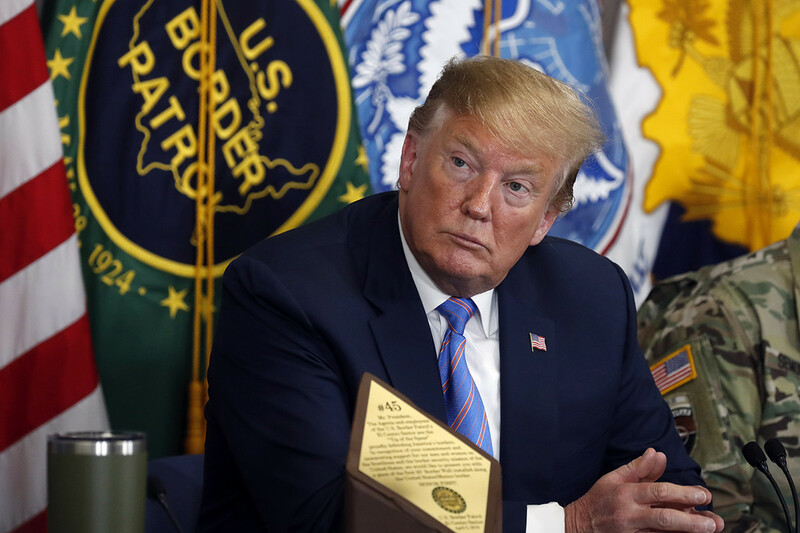 President Donald Trump’s purge of top Homeland Security officials ignores the larger obstacle to his aggressive immigration agenda — the courts. With DHS Secretary Kirstjen Nielsen out of the way, and other officials in the department expected to be pushed out, White House senior adviser Stephen Miller hopes to accelerate or pursue more aggressive enforcement policies, including one that allows children to be detained more than 20 days and another that would deny green cards to immigrants who’ve received public assistance or are deemed likely to do so. But even if Trump “cleans house” — a phrase he’s never used, he told reporters Tuesday — he’ll still need to follow the law, and federal courts have ruled repeatedly against his most audacious policies on immigration. “It’s just putting in someone who is willing to do it, but you’re still going to have the same obstacles,” said Lee Gelernt, an attorney with the American Civil Liberties Union who represents migrant parents in a major lawsuit over family separations. In the most recent example, a San Francisco-based federal judge on Monday temporarily blocked Trump’s “remain in Mexico” initiative, which sought to force certain non-Mexican asylum-seekers to wait in Mexico until the conclusion of their case in the U.S. Since Trump took office, his administration has launched a number of legally dicey policies intended to discourage or restrict the arrival of asylum seekers at the U.S.-Mexico border — only to see them waylaid by the courts. Most prominent was the “zero tolerance” border policy, which ran from April to June of last year. The policy called for all suspected border crossers — including parents and asylum seekers — to be referred for federal prosecution. As parents were placed in custody of the U.S. Marshals Service and taken to court, their children were labeled “unaccompanied” and handed over to the Health and Human Services Department. Thousands of children were separated from parents during the three-month period, prompting broad outrage. San Diego-based U.S. District Judge Dana Sabraw eventually ordered children in custody to be reunited with their parents. U.S. Citizenship and Immigration Services Director Francis Cissna, who current and former DHS officials suggested could be removed in the coming days, appears to have drawn Miller’s opposition by pursuing the Trump administration’s policy goals in a more legally rigorous fashion. “His methodical approach is the approach you actually need to do to get lasting change,” a former DHS official said of Cissna. Should the Trump administration, despite the president’s protestations, proceed with Miller’s latest iteration of family separation at the border, detained parents will be given two options: separate from their children or remain together in detention indefinitely. The ACLU’s Gelernt learned about the policy details only from media reports, but he argued that offering parents a “cruel choice” between leaving a child or staying with that child in detention would be ruled unlawful. “It’s really not a choice for these parents,” he said. Possible venues for legal challenges to family separations would likely pose a problem for the Trump administration. In one scenario, the policy could become part of the ongoing lawsuit brought by the ACLU over family separations in San Diego. The case remains before Sabraw, an appointee of President George W. Bush. Alternatively, parties in the so-called Flores agreement — which currently limits the time children can spend in detention to 20 days and mandates other standards for detention — also could seek to strike down a new separation push. Even Mark Krikorian, an immigration hard-liner and executive director of the restrictionist Center for Immigration Studies, contends the Trump administration again should seek to prosecute parents, but should keep parents from being separated from children. “That’s what caused the problem,” he said. Next articleBrexit: May to meet EU leaders, will she get another extension?